When you have a large family that requires a lot of daily travel to and from school and activities, sometimes a vehicle with a little extra space can help get everyone there with a little less hassle. That’s why many shoppers turn to the SUV segment when their family starts growing. Unfortunately, because of their size, SUVs tend to have much larger starting price tags than smaller vehicles in other segments making them the perfect candidate for a used purchase. 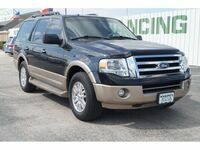 SUV shoppers can find great deals on our large inventory of SUV models at Coast to Coast Motors. For your convenience, we operate several dealership locations throughout Oklahoma and Texas including multiple locations right here in Houston, TX. Coast to Coast Motors is a buy here, pay here dealership that can work with customers of all credit histories to make their dreams of SUV ownership come true. With over 450 pre-owned vehicles in our current inventory, drivers can expect to find a wide range of options when they shop at Coast to Coast Motors. While our inventory is always rotating, we regularly have pre-owned SUV models from popular brands like Ford, Chevy, Dodge, GMC, Honda, Hyundai, Jeep, Kia, Nissan, Toyota, and more. To shop our inventory, visit your nearest Coast to Coast Motors dealership location in person or utilize our online inventory pages to browse from a smartphone, computer, or tablet. Once you see a used SUV model that catches your eye, set up a test drive with our team to learn more about the features and performance it offers. If it’s a match, our finance team can get started working with you to find affordable rates that fit into your budget. A finance application is available on our website for shoppers who want to get a head start on their financing options.